The rich tradition of the pantomime dame is alive and well in the Netherlands. That’s our conclusion after watching a motivational speech by Gerrit Zalm, Chairman of ABN Amro. The speech has caught the attention of the world’s press…owing to its oddness. Your first impression of Mr Zalm would not be that of a pantomime dame. No, the 62 year old used to be a Finance Minister in the Dutch Government. And since 2008 he’s been the Chairman of ABN Amro after the Dutch Government acquired the ABN Amro assets of the bankrupt Fortis bank. 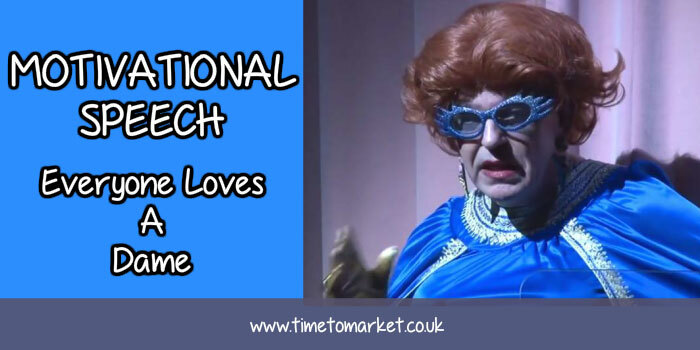 So his appearance as a pantomime dame at an ABN Amro staff event was quite simply breathtaking. Breathtakingly audacious. Breathtakingly weird. It’s your opinion! But do note his audience’s reaction before you leap in with a view! But seriously…was there a point to this staff motivational speech? Apparently so. His speech was certainly memorable. Nobody in his packed audience is going to forget his appearance as “Priscilla” in a hurry. But that wasn’t the main point of this motivational speech. His appearance as “Priscilla Zalm”, the Chairman’s sister was an audacious attempt to outline customer service from a different perspective. Wearing a blue dress, red wig and dangly earrings Priscilla explained how “she”, entrepreneur brothel owner was ignored by her brother, the employee of a state-owned bank. But her experience of putting customers first was evidently far more ingrained than that of her brother. And that was the purpose of this particular motivational speech: to outline the basic tenets of customer care. My Dutch language skills aren’t as good as they could be. And former colleagues aren’t close by to help out. But what comes across the language barrier is energy and commitment, expression and sheer enthusiasm. That’s superb. Ah, the international language of business is alive and well in a Dutch presentation language motivational speech. I don’t know whether Mr Zalm needed “Dutch courage” for his motivational speech. Probably not. I suspect that Mr Zalm has form when it comes to putting on a good public speaking show. Judging by his audience reaction, this was motivating stuff. Well done. 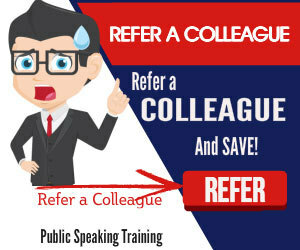 When you are in the market for inspiration with your motivating speeches then you can always consider our regular series of public speaking tips. 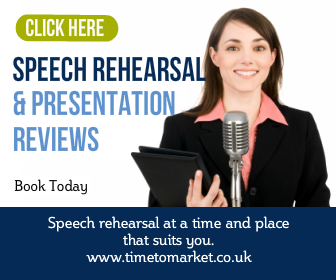 You can discover more tips for motivational speeches with a public speaking skills training course from Time to Market. Please don’t hesitate to get in touch.